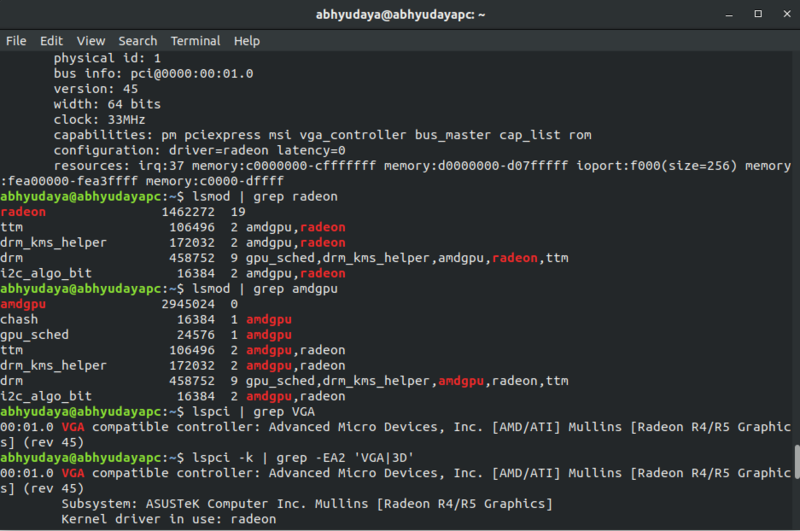 Are radeon drivers pre-installed with ubuntu? So my laptop has a AMD A8 7410 with Radeon R5 graphics. I don't know if my laptop is currently using any GPU drivers. I am posting a screenshot of some terminal tests I did which might determine that. So, I checked the official AMD website and the drivers listed for the same are as old as 2015. So, my question is, are the GPU drivers pre-installed or i need to install them? How to install AMDGPU-PRO drivers in 16.10?